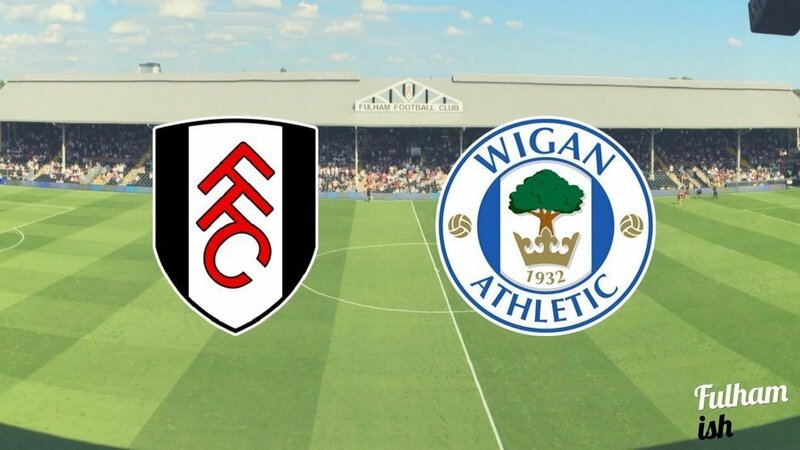 Fulham face Wigan at the Cottage on Saturday afternoon, with the Latics deep in a relegation struggle at the other end of the table. After an awful start that saw seven defeats and just one win in their opening ten games, the season was never going to be easy for Wigan Athletic and with just six wins so far this season, they’ve found points hard to come by. Rotherham aside, the bottom of the table is tight, with just five points separating four teams all battling to avoid the two remaining relegation spots. That said, Wigan seem to have been playing better of late – with a spirited 2-2 draw against Norwich City in the week, a narrow 1-0 defeat to Sheffield Wednesday in front of the Sky cameras, and strong wins against both Burton Albion and our noisy neighbours from TW8. A positive aspect to Fulham’s inconsistency is that the Whites haven’t actually lost two league games in a row this year, so the Fulham faithful can hope in any case that this record continues after last weekend’s slip up to Birmingham City. The Whites need to be wary of not making the same mistakes as Norwich did in the week, as the Canaries controlled possession and territory against Wigan, but were behind to two defensive lapses and some real quality from recent Latics signing, Omar Bogle. We sound like a broken record but if Fulham are to stay in touching distance of the playoffs, they need to win the games against teams below them from now on in, starting on Saturday. Much as Ayité managed to royally screw up a last minute sitter against Birmingham, his directness and willingness to run at players means that he makes the Fulhamish Starting XI if we were to pick it, with Piazon dropping to the bench. We’d also bring back Scotty Malone and bring in a straight swap at right back, with Denis Odoi coming in for the suspended Ryan Fredericks. Johansen has fast become perhaps the most crucial cog in Jokanovic’s well-oiled Fulham outfit, with his energy, range of passing and ability to ghost into the box at the right time, scoring a host of goals. Whilst Power’s goal and assist tally lacks the sheen of Johansen’s, he’s playing in a weaker side and he’s been the Latics’ most consistent player this campaign, involved in much of what has been good about Wigan – so much so that he’s attracted the interest of clubs from the Premier League to the Portuguese Primeira Liga. Whoever comes out on top in the creative stakes in this one will go a long way to securing a result in their side’s favour. Looking at the Championship table, you’d be shocked if Fulham didn’t take three points at the Cottage on Saturday, but good performances against top half sides recently have proved that the Latics will be no pushovers. If the Whites hit their potential though, this should be a comfortable 3-1 victory. Fulhamish Editor; H4 season ticket holder; persistent optimist. Associate Editor at Bleacher Report, FFC Columnist at GWL. Resident Stefan Johansen fanboy. Located pre-game in the William Morris.